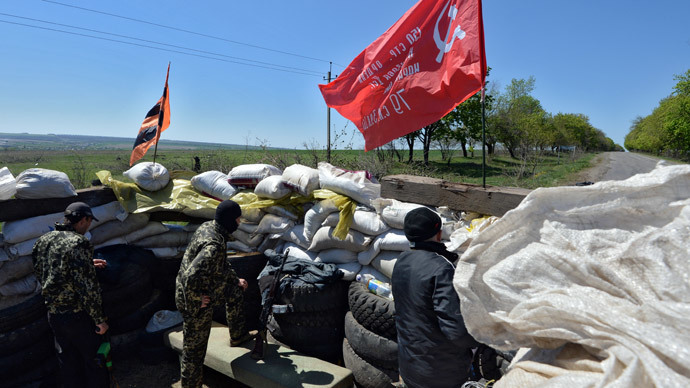 Three members of Ukraine’s special anti-terrorist unit Alpha have been detained during a covert mission in Donetsk region, amid the buildup of Kiev’s military near the cities controlled by pro-federalization forces. 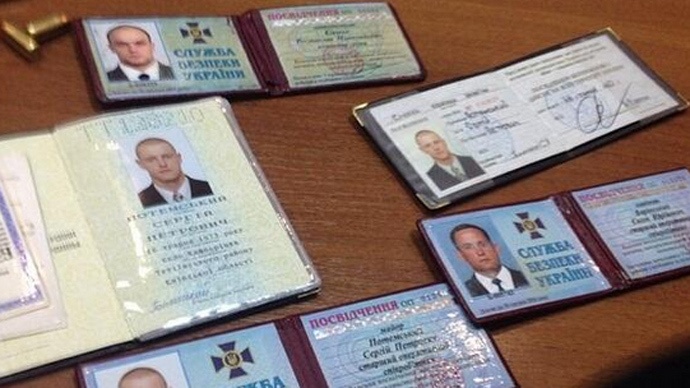 Commander of the 'Donetsk Republic' self-defense forces, Igor Strelkov, has confirmed reports that three members of the Alpha special tactical assault group of the Ukrainian Security Service (SBU) have been detained in the city of Gorlovka, in Donetsk region. Their task reportedly was to abduct one of the self-defense force leaders, Igor Bezler, whose group is controlling the local police department in Gorlovka, but instead they were captured themselves. 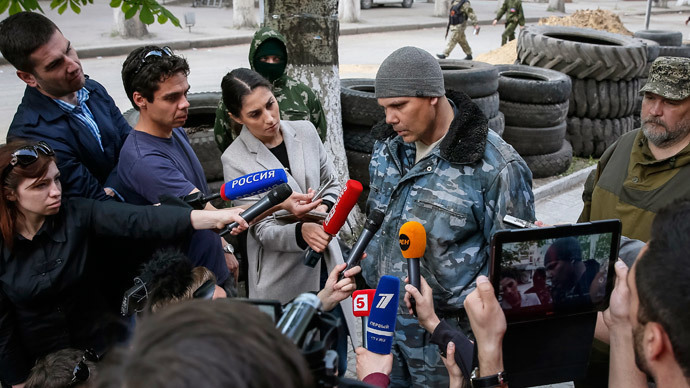 The prisoners were searched and blindfolded and brought to nearby Slavyansk, where their guns, documents and IDs as well as other belongings were demonstrated to the media during a press conference. During questioning, the detained officers revealed that a special unit that has infiltrated the city comprised of seven men. They did not say however who authorized the operation and was in control of it. They also did not tell where the rest of the group went after they split, or how many similar groups could be operating in the region. One of the detainees hinted that they were afraid for the wellbeing of their families. “If I did something wrong,” he said, “I think nothing good would happen to my family.” Although there were no direct threats to their families, he said that was because the “mechanism was not launched” as they were abiding by orders. The members of the Ukrainian armed forces will now receive the status of prisoners of war, Strelkov said, after which an attempt will be made to exchange the commandos for members of pro-federalization activists detained by Kiev. 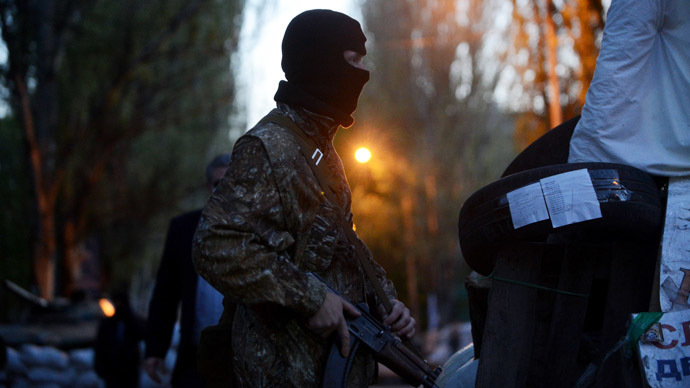 The SBU confirmed Sunday that the detainees are indeed its officers. The agency claimed that they were deployed to the Donetsk region to detain an unnamed Russian citizen suspected of killing Vladimir Rybak, a local MP, who had been found dead near Slavyansk this week by local militia. 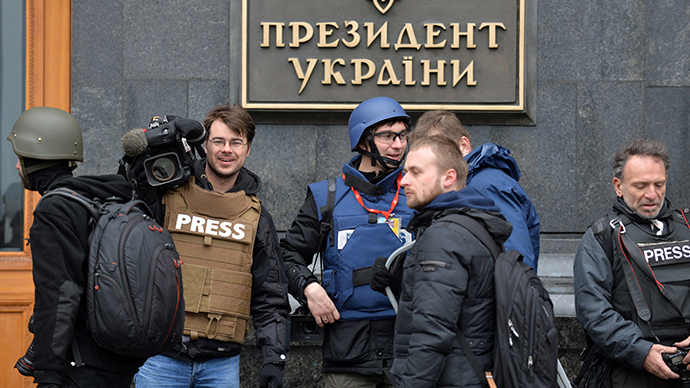 Rybak’s apparent murder is yet another point of conflict between Kiev and the anti-government protesters in eastern Ukraine. The central government said members of the militia must have killed the MP, who spoke against their resistance. Protest leaders said it would make no sense for them to make the discovery of the body public in that case and point fingers to the radical Right Sector, saying the murder was a provocation to frame the militia. 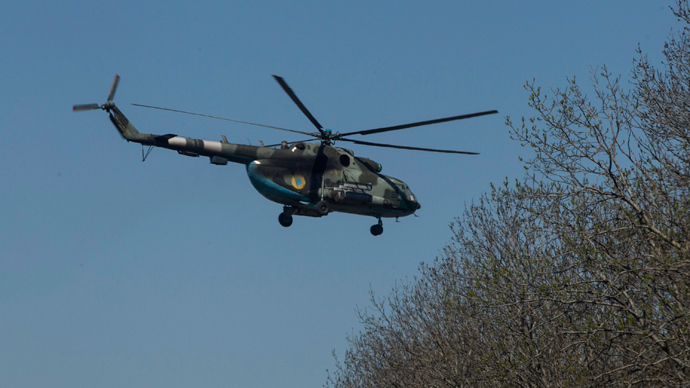 The agents’ capture came amid an attack on a checkpoint near the neighboring Soledar city, where a group of unidentified gunmen was flown-in by a helicopter and in a blitz attack captured one of the self-defenders, forcing others to temporary retreat. The detained team is indeed “not OSCE monitors” as widely reported, but instead was sent by OSCE member states in accordance with the 2011 Vienna Document on military transparency, the organization explained on Friday. Despite the plea from Moscow and the international community to release the four Germans, a Bulgarian, Czech, Dane and a Pole, Ponomaryov has not acceded to the request yet, as he has not rule out that the group could be used in prisoner exchange for anti-government activists, dozens of whom have been arrested by Kiev's coup-installed authorities over the last month.